Harmony has your weekend activities signed, sealed and free! 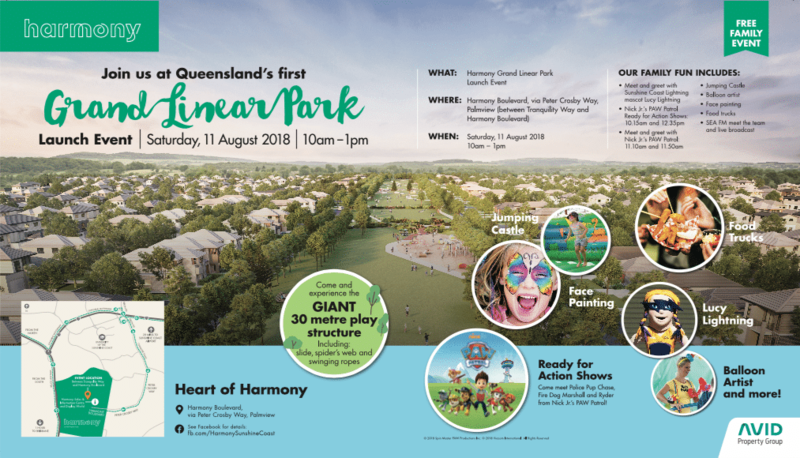 AVID Property Group invites you and your family to join the Harmony team for the much-anticipated opening of Harmony’s Grand Linear Park on Saturday 11 August from 10am to 1pm. A GIANT 30 metre playground, jumping castle, face painting, food trucks, and Chase, Marshall and Ryder from Nick Jr.’s PAW Patrol will ensure that the opening of the Grand Linear Park has something for the whole family. Phase one of Harmony’s Grand Linear Park will provide two hectares of community space for people of all ages and recreational interests to enjoy. Residents and visitors can kick a ball around with the family, enjoy a picnic with friends, break a sweat on the outdoor gym or use the large network of interconnected cycle and walk ways. Call the PAW Patrol! Chase, Marshall and Ryder from Nick Jr.’s PAW Patrol will join us for two Ready for Action Shows at 10:15am and 12:35pm. You can then meet the gang and get your photo taken at 11:10am and 11:50am. The Sunshine Coast’s favourite radio station, SEA FM will join us to open our Grand Linear Park and play all the hits from 10am. Sunshine Coast Lightning’s Lucy Lightning will also make a special appearance. We look forward to seeing you for a fantastic day. 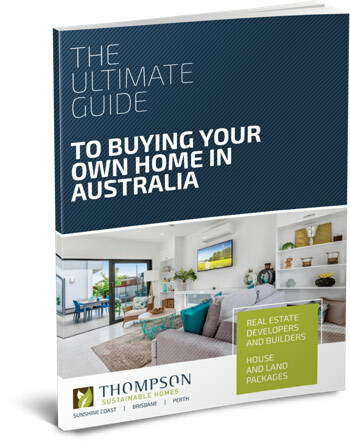 Whilst you are at Harmony, be sure to drop by our stunning display homes and ask us about our Launs and McGregor Terraces, only walking distance to the park now available.